We are well aware that Top Rank's "Macau cards" split opinion like almost no other cards done by a major American promoter. Whilst some view them as a distraction to the usual US TV schedule we love them and we love the fact that Boxnation tend to carry them allowing British fans a chance to see some of the lesser known names from Asia. 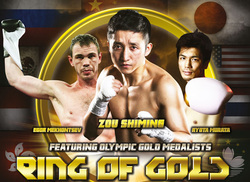 The latest addition to the the Macau shows "Ring of Gold" a show that features not only Chinese Olympic gold medal winner Zou Shiming but also Japanese champion Ryota Murata and Russian Egor Mekhontsev as well as 3 title bouts. The Olympians are the big selling point here. Whilst Shiming may be much derided by boxing fans he could well act as the man to awaken Chinese boxing and lets be honest, if that happens then the talent and money in the sport could grow at a never before seen rate. For Mekhontsev the talented is clear and the guy has the ability to be rushed to a world title. The most interesting however is Murata who some already view as a superstar in the making and he may well have the potential to ignite cross-continental promoting like no other fighter. Whilst we cant help but be excited about the 3 Olympic champions we've also got to say that the IBF Lightweight title fight between Miguel Vazquez and Denis Shafikov looks like a great clash of styles with pure boxer fighting against strong pressure fighter and the co-feature between Akifumi Shimoda and Marvin Sonsona is a brilliant match up. 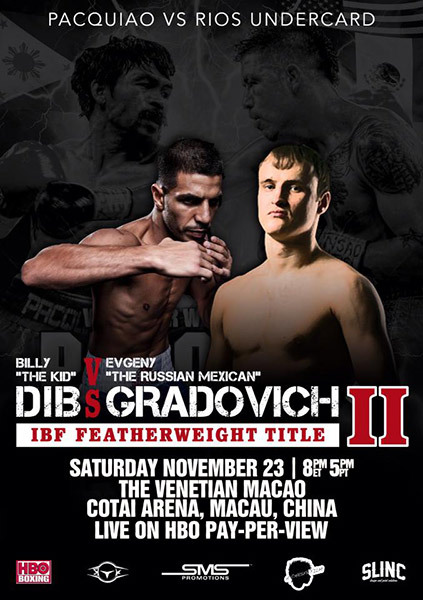 As well as the traditional poster Toprank have also released this banner which adds the poster to an extra segment showing some of the other fighters on the card. A nice little bonus to the poster even if it does take away from the 3 Olympic champions.